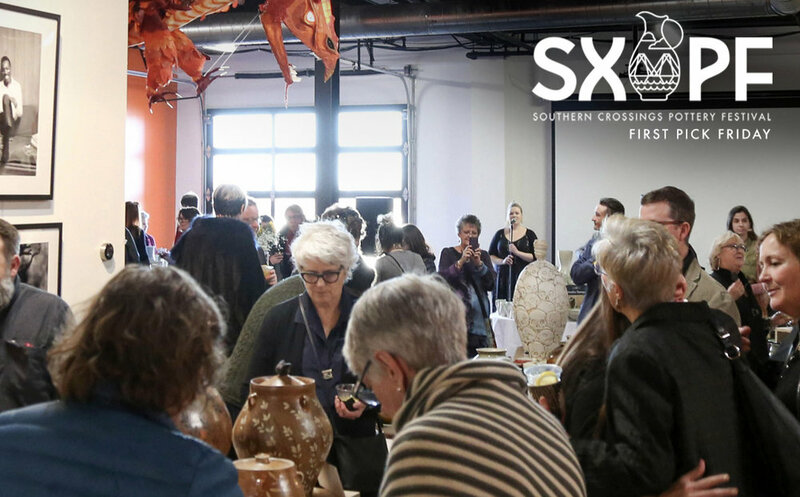 Ticket holders will have access to see and purchase the work of 12 esteemed potters prior to the opening reception. Complimentary Copper and King signature cocktail provided by SXPF along with a cash bar, hors d'oeuvres, and live entertainment. Your name and number of guests will be added to the guest list at the door. Please bring your emailed receipt to the event. Interested in knowing more about invited artists, community collaborations, upcoming festival details, or future planning? Sign up with your email address to receive SXPF news and updates.